This two-hour improv workshop focuses on nailing specifics within a scene, playing at the top of your intelligence, and getting out of your comfort zone to try new characters that you didn't even know you had in you. 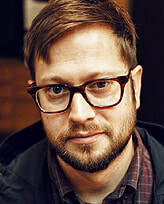 Cole Stratton is co-founder of SF Sketchfest, The San Francisco Comedy Festival. He is co-host of Audible's The Bat: Improv in the Dark and the Pop My Culture Podcasts. He tours with Theme Park, and has been doing improv for over 30 years.